MacMillan first became internationally recognised after the extraordinary success of The Confession of Isobel Gowdie at the BBC Proms in 1990. His prolific output has since been performed and broadcast around the world. His major works include percussion concerto Veni, Veni, Emmanuel, which has received close to 500 performances, a cello concerto for Mstislav Rostropovich and four symphonies. Recent major works include his Percussion Concerto No.2 for Colin Currie, co-commissioned by the Philharmonia Orchestra, Edinburgh International Festival, Netherlands Radio Philharmonic Orchestra, Orchestre National du Capitole de Toulouse, Baltimore Symphony Orchestra, São Paulo Symphony Orchestra and Cabrillo Festival of Contemporary Music and, most recently, his Trombone Concerto, written for Jörgen van Rijen, which was premiered by the Royal Concertgebouw Orchestra conducted by Iván Fischer. MacMillan enjoys a flourishing career as conductor of his own music alongside a range of contemporary and standard repertoire, praised for the composer’s insight he brings to each score. He has conducted orchestras such as the National Symphony Orchestra Washington, Frankfurt Radio Symphony Orchestra, Baltimore Symphony, Rotterdam Philharmonic, Munich Philharmonic, Vienna Radio Symphony, Danish Radio Symphony, Gothenburg Symphony, Bergen Philharmonic, Royal Liverpool Philharmonic Orchestra, City of Birmingham Symphony Orchestra, BBC Scottish Symphony, Toronto Symphony, Los Angeles Philharmonic, New Zealand Symphony Orchestra and NHK Symphony Orchestra among others. He was Principal Guest Conductor of the Netherlands Radio Kamer Filharmonie until 2013 and Composer/Conductor of the BBC Philharmonic from 2000-09. Highlights of the 2018/19 season include conducting the Belgian premiere of his Trombone Concerto with Antwerp Symphony Orchestra in November 2018, with UK, Swiss and Scottish premieres of the work throughout the season. Elsewhere this season MacMillan conducts the Scottish Chamber Orchestra, Hong Kong Sinfonietta, Irish Chamber Orchestra, BBC Singers and London Philharmonic Orchestra, where he also continues to mentor the Young Composers Scheme. This season also sees the world premiere of All the Hills and Vales Along at Cumnock Tryst festival in October and by London Symphony Orchestra and Chorus/Noseda in November. MacMillan has directed many of his own works on disc for Chandos, BIS and BMG, most recently a series on Challenge Records including MacMillan’s violin concerto A Deep but Dazzling Darkness and percussion concerto Veni, Veni, Emmanuel with Colin Currie and the Netherlands Radio Kamer Filharmonie. His recent release on Harmonia Mundi conducting Britten Sinfonia included his Oboe Concerto and won the 2016 BBC Music Magazine Award; in 2017 The Sixteen’s recording of MacMillan’s Stabat Mater was nominated for a Gramophone Award and won the Diapason d'Or Choral Award. 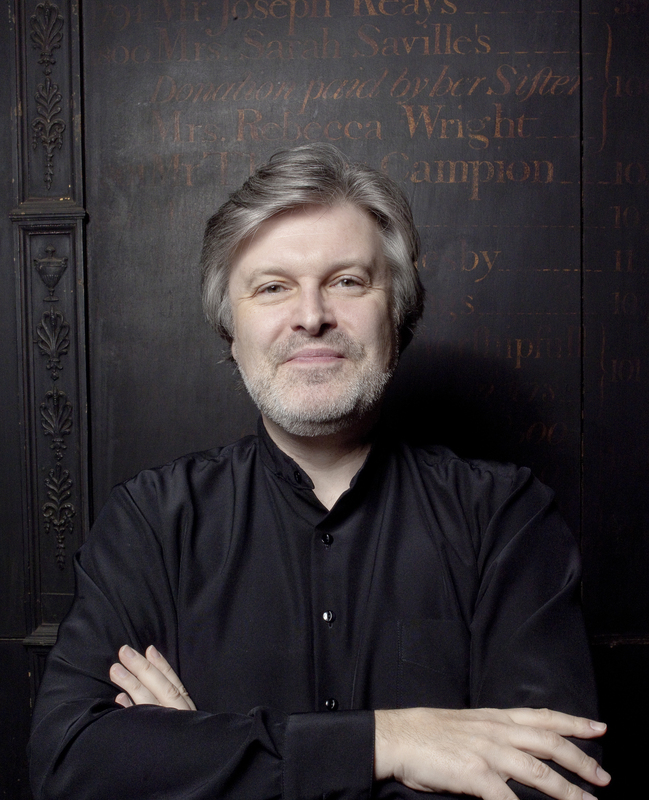 The works of Sir James MacMillan are published by Boosey & Hawkes. 2018/19 season / 495 words. Not to be altered without permission. 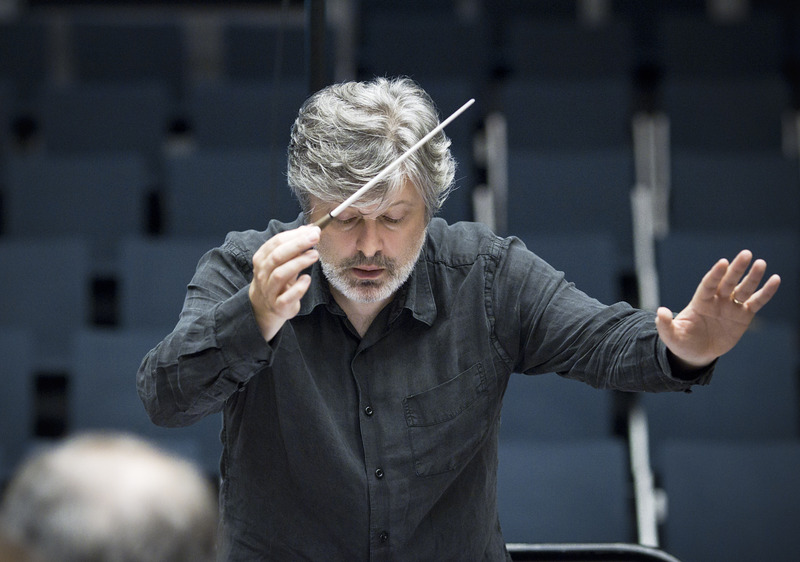 James MacMillan was Composer-Conductor of the BBC Philharmonic from 2000-2009 and of the Netherlands Radio Chamber Philharmonie from 2009-2013. In Spring 2014 MacMillan conducted three projects with the BBC Scottish Symphony including a the orchestra’s first tour to India. Highlights of the current season include a new production of his 1990 opera Ines de Castro with Scottish opera, Composer in Residence with the Sao Paulo Symphony where he conducts a choral programme, return conducting engagements with the Royal Liverpool Philharmonic, City of Birmingham Symphony Orchestra, Britten Sinfonia and debuts with Bergen Philharmonic among others. In recent seasons he has conducted orchestras such as the London Symphony Orchestra, NHK Symphony Orchestra, Danish National Symphony, Baltimore Symphony and New Zealand Symphony. 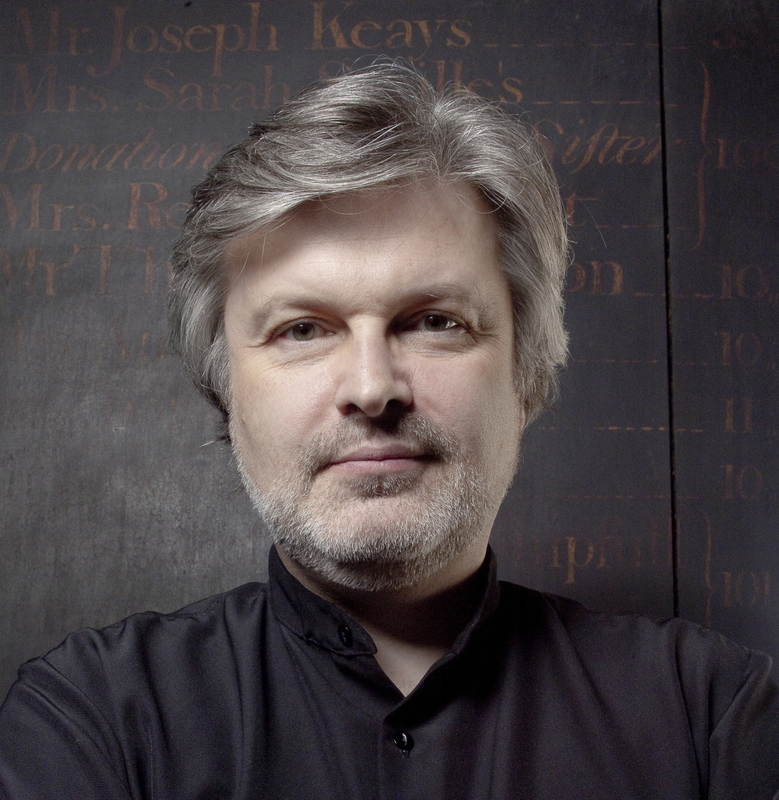 James MacMillan is one of today’s most performed composers, with a rich catalogue of orchestral and choral music performed by leadings orchestras around the world. Recent years have brought a successful sequence of concertos by MacMillan: for violinist Vadim Repin, pianist Jean-Yves Thibaudet (his third piano concerto), oboist Nicholas Daniel, violist Lawrence Power and percussionist Colin Currie (his second percussion concerto). 2014 saw MacMillan launching Cumnock Tryst, a new music festival in his home town of Cumnock, Ayrshire. 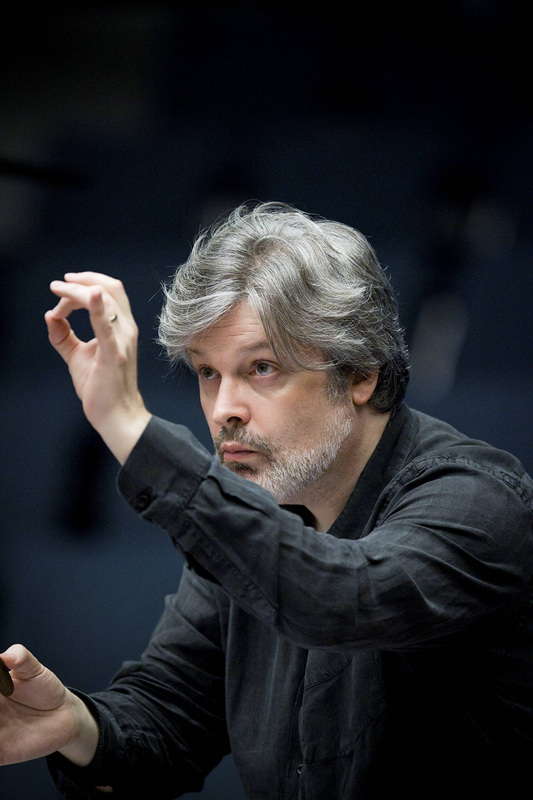 A towering performance by the BBC Philharmonic under the composer James MacMillan. He is proving a conductor of daunting ability. MacMillan conducted his own music that was ceaselessly inventive, evocative and penetrating...His estimable mastery of orchestral timbre and effect was evident throughout. How do we characterise the phenomenal concert given on Saturday night by the BBC SSO, with a string of premieres, all conducted by the man himself? The night featured music that was beguiling, intriguing, poignant, hilarious, electrifyingly exciting, challenging and, for those who know a little about MacMillan's music, comprehensively revelatory.